Trust the power of your brand and colour outside the lines for once, will you? Every brand across the planet is hard at work, trying to improve their visual identity. Who’s going to be our poster boy/girl? Is our logo going to be sturdy and static or lively and dynamic? Why aren’t we using a spokesperson? All valid questions for any brand. This BLA investigates why some brands went for the illustrative approach, often with great success. Attention (m)ad men/women, you might want to let go of that Asus pen or mouse pad, because the pencil is still mightier than your InDesign option bar. soccer team in New York (The New York Red Bulls). What RedBull is doing now, has proved its worth before. Two classic Belgian tobacco brands successfully used a cartoon figure to act as the face of the brand. Belga is one of them. They were later joined by Tigra. You might recognise her; the woman with the seductive look and oval feathered hat who modelled for Miss Belga was called Paula Bollaert in real life. Her face is forever connected to the Belga brand and Paula became a national icon. It wasn’t until 1990 that Belga removed her likeness from their packages. Belga wanted to approach a more youthful market and created the fancy ‘fire’ packaging. Remarkably, the ‘real’ Paula never smoked a cigarette in her life. Her daughter did smoke Belga cigarettes, though. Before she disappeared, Belga gave ‘their’ Paula a fashion update on a regular basis, making sure she remained ‘on-trend’ instead of staying stuck in her original ‘Art-Deco’ environment. According to her contemporaries, Paula Bollaert was a stunning woman and a class act. She also modelled for Globe, a lemon drink by Schweppes. Miss Belga died in 1996 at the age of 90. The Tigra girl was not so lucky. According to some, she was murdered in cold blood. Paula Bollart was friends with the Latvian girl Angelina Saey, the so-called Tigra girl, the secret crush of many Belgian boys and girls in the fifties and sixties. The identity of the cartoon-seductress became public knowledge when Angelina was found dead in a villa in the Belgian town of Brasschaat in 1979. She was lying at the bottom of the stairs with a rope around her neck. She was 46. Her assassin had staged the scene to make it look like a suicide, carrying the body down the stairs after the murder. A complicated nose fracture pointed to a struggle leading up to her death. Her 19-year old son was one of the first prime suspects. He was seen arguing with his mother about his school results shortly before the tragic, fatal events took place. Eventually, he was released due to lack of evidence. The case of the Tigra girl murder was never solved. 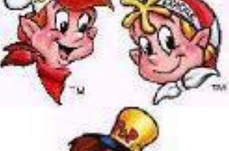 Another brand that’s always worked with cartoons is Kellogg’s. As you know, every product has its own ‘face’. The rooster you can still see on the Corn Flakes packaging today is called ‘Cornelius’. He was hatched by an American ad agency in 1957. 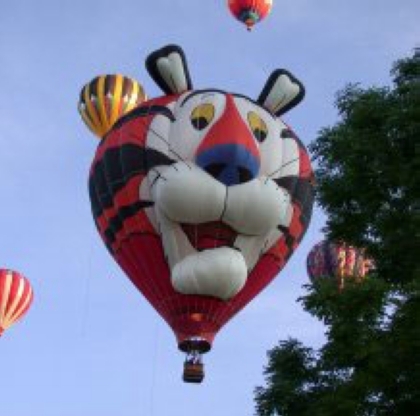 Tony the Tiger is currently one of the most famous cartoon animals in the world. Tony became the face of Kellogg’s Sugar Frosted Flakes of Corn in 1952. 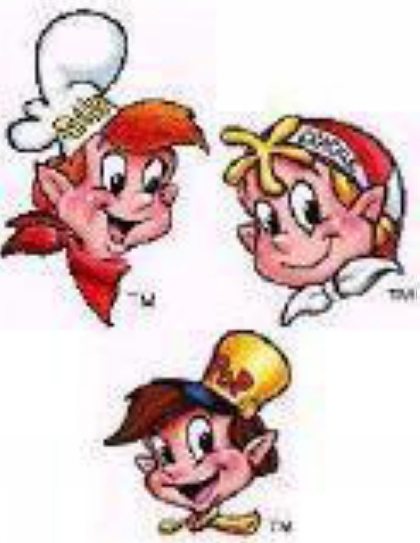 He was preceded by Snap, Crackle and Pop, who made their entry in 1928. 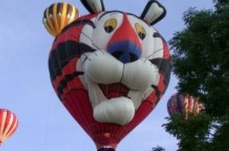 The Kellogg’s brand family still has some of the most famous brand faces in the world, although they’ve had some cosmetic ‘touch-ups’ along the way. After years of success, some cartoons have been pulled from the brand communication. Why? To re-invigorate the brand? This has often proved to be a poor strategy. Those who have locked up and chained their cartoon animals have often paid the price. Remember the Walibi kangaroo? He was the bouncy buddy and famous face of the Belgian amusement park and entertainment industry. He disappeared when the American Six Flags took over the brand visuals. Less than four years later, Walibi decided to bring back the kangaroo. His revival is still an on-going process today. 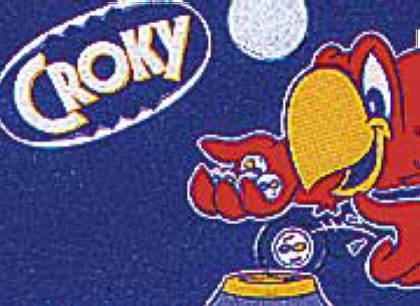 Crisps brand Croky also brought back their cartoon figure when they released the Croky parrot from its cage. Using a cartoon animal in your logo or making it your ‘spokesperson’ is usually a good idea, as long as it’s not a worm, a monster or a spider. Bacardi’s bat being the exception that confirms the general rule. Forty years ago, the Croky company was founded in an old milk factory in the West of Flanders by Huyghe and Weststraeten. The company name was a reference to a Huyghe family member. The parrot had been the face of the company from day one. In 1969, the company was taken over by United Biscuits. 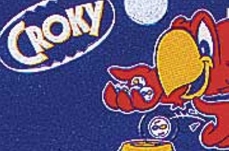 Croky grew and became a substantial force on the snack market. But the foreign competition was brutal and for years, Croky fell prey to outside tactics. The Croky communication did make great leaps, though. Their ad music was once composed by popular Belgian band Clouseau. In the early throes of the 21st Century, former Croky employees Guido Bral and Luc Sillis used their company Roger & Roger to purchase Croky from United Biscuits. They only had one goal: bring Croky back to the table. Their first step? Release the parrot. There are many other examples like the Croky and Walibi stories. Some cartoons kept going, others only had a brief fifteen minutes of fame. Fido Dido was one of those less successful stories. 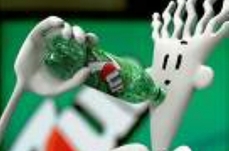 He was a black and white cartoon figure, made up a few simple squiggly lines, shilling the 7up soda. 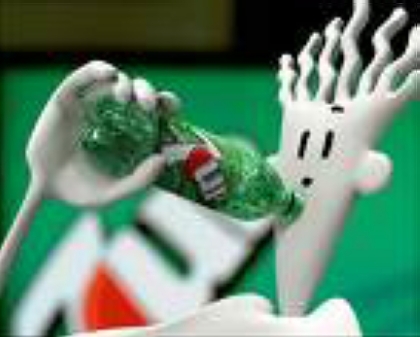 Fido Dido merchandising was huge! Overproduction soon sealed his fate, however. A brand cartoon really comes to life when it is adopted by pop culture. Belgian toy chain Christiaensen had a logo that became fashionable amongst the retro-crowds at one point. Cartoons are often a success, bringing a brand to life, then starting to lead their own life. But what then? Release into the wild or hang on for dear life? Many brands have been faced with this question. If you go for a cartoon, make sure it’s timeless. Only timeless cartoon figures are able to survive and perhaps even be revived when needed.